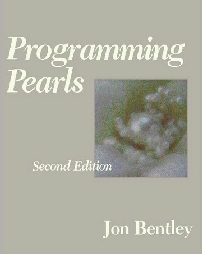 This book is a collection of essays about a glamorous aspect of software: programming pearls whose origins lie beyond solid engineering, in the realm of insight and creativity. This book provides a guide for both students and experienced programmers about how to design and create programs, and how to think about programming. The book is full of small case studies, real examples, and interesting exercises for learning about how to program. This web page contains samples from the whole work for you to investigate. For teachers, the links below lead to some of the central material suitable for classroom use. Completely revised and brought up to date with all new code examples in C and C++, this book remains an exceptional tutorial for learning to think like a programmer.